The 6745 Digital Baby Scale features a lock-in weight sensor that records the infants weight when typical infant movement stabilizes, and locks in that weight reading accurately. 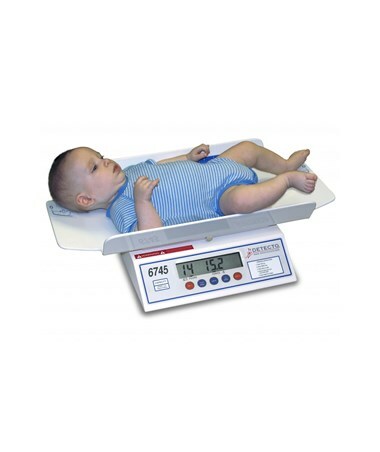 The reading is displayed and retained even after the infant is removed from the scale. 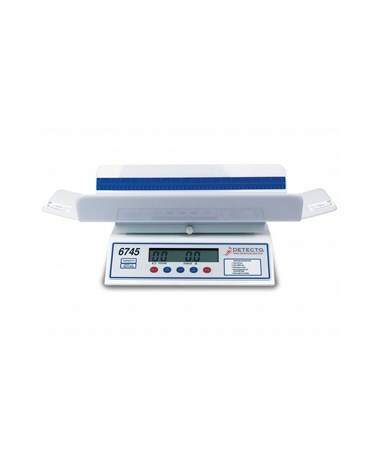 The scale features a built-in battery charger NiCad or NiMH batteries, battery or AC power, a built-in measuring tape, and a large 1.0” high transflective LCD display. Serial output allows the scale to be connected to a printer or PC. A locking pin secures the tray in place, and can be removed easily for tray cleaning. 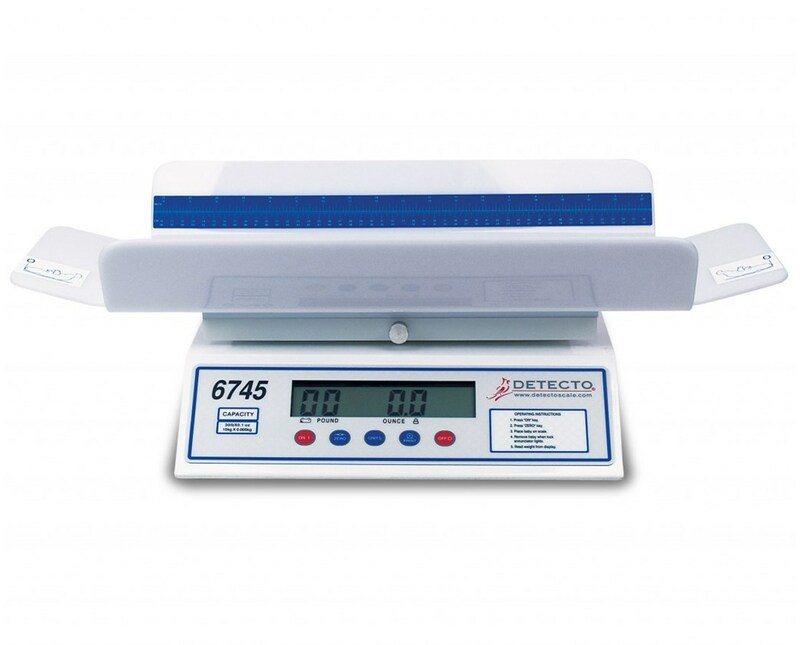 The 6745 Digital Baby Scale features made-in-the-USA quality and durability for long life and flawless operation. 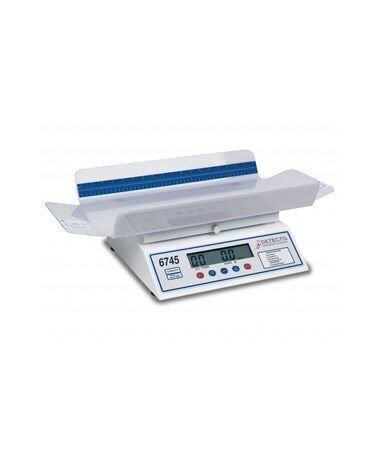 **Please view additional accessories for this scale by selecting the Related Products tab.